Further to designing new sites, Complete marketing Solutions are also able to edit existing websites so that our customers can save the hassle and cost of a complete rebuild. We provided our optimisation services to Woodlouse Conservation in Somerset who were happy with the design of their website but dissatisfied with the site’s online visibility and the the number of page visits that they received. Since optimising the site, traffic has increased greatly and enquiries have soared. 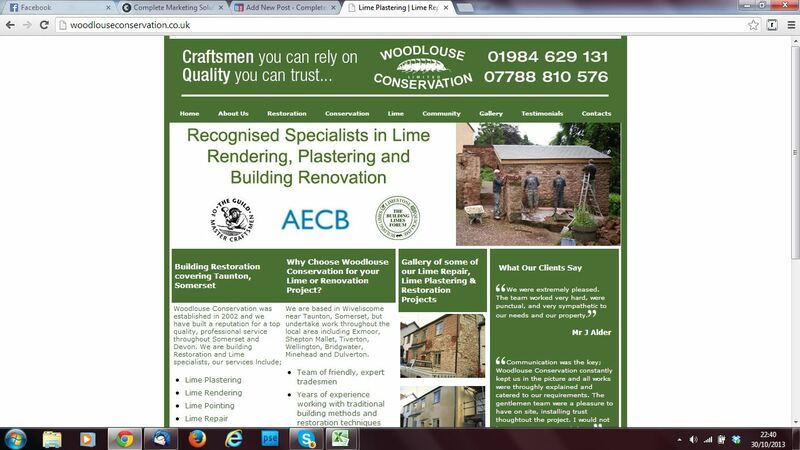 Woodlouse Conservation have been blown away by the effect that a website can have on a business!